Rebuilding credit after a bankruptcy isn’t easy, but it is essential. 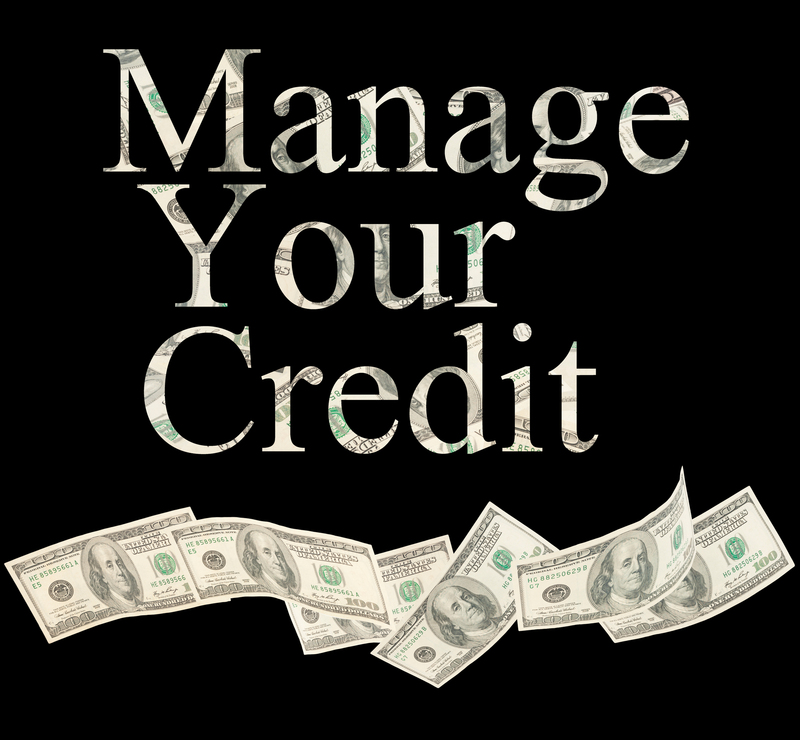 Step 1: Get your Discharge letter and list of creditors to make sure the creditors were properly listed in your bankruptcy and clearly shows that they were discharged and labeled as “Included in Bankruptcy” and “zero balance” on your credit reports. Unfortunately, some creditors don’t update information to the credit reporting agencies. This tactic could be a way to get you to pay up, even though you no longer legally owe the debt. Also, it’s a double whammy, why? Because now not only does it show a “bankruptcy” on your credit reports, but also “unpaid debts”, further keeping you from having a “fresh start” toward rebuilding your credit. So again, be sure to thoroughly review each listed debt for accuracy. Also, watch out for unfamiliar creditor names or debts, as they might be discharged debts that were bought and sold to a third party debt collector, but are not accurately reflected as having been discharged through your bankruptcy. Disputing errors is relatively straightforward. You’ll do so by writing letters to each of the three major credit reporting agencies. A creditor who repeatedly refuses to report your discharged debt properly might be in violation of the bankruptcy discharge injunction prohibiting creditors from trying to collect on discharged debts. If you take steps to remedy the misreporting, and the creditor (or collector or debt buyer) refuses to fix the error, talk to your bankruptcy attorney. Now you may say, Miguel, I know my credit scores already. I have “Credit Karma” or Credit Sesame” or “enter free credit monitoring service here”. The problem is that these “free” services don’t report the scores accurately. And they don’t provide you the tools you need to see everything that’s important to improving your score. Most importantly, most of these so called “free” platforms work for the same very debt collectors consumers owe money to. What? Have you ever noticed as soon as you give them all your personal information, old debts miraculously reappear on your credit reports as new debts. Furthermore, worsen your credit by re-starting the collection activity of debt collectors now contacting you. Say what? That’s correct, remember the number one business in today’s world is “Data Collection” or “Data Mining” reselling of your personal information to whomever pays the most for it. Please remember, nothing is “free” your data is worth more then a “free” misleading credit score and surrendering of your personal data to third party debt collectors. My recommendation is to sign up for Credit Monitoring Here. There are many reasons why this is helpful (and we will get into more of those later), but one of the main reasons is that we are able to get your first 7 days for only $1, then it goes to $21.99 a month thereafter. And you can cancel anytime you want after that (although I would encourage you to consider keeping it, like you would car insurance). This allows you to actually see all 3 credit reports from TransUnion, Equifax and Experian for the best possible credit updates every 30 days to ensure your work is being properly updated as you continue to correct your credit profile. Again, the service is only $21.99 per month, great price to pay for the most important financial asset to protect…your credit. Remember, we live in a credit driven society today, everything revolves around your credit score. When you’re ready to get back in the playing field of the credit game, a secured card will be your easiest step. A secured card requires a security deposit matching your credit limit. So if you get a card with a $300 credit limit, you’ll put up $300 as security. Your deposit guarantees your credit line; it’s very low risk for the bank, which means you’ll have better odds of being approved. After effectively using a secured card for a period of time, that issuer or another one may offer you a more traditional credit card. Before you get a secured card, however, make sure it will report your activity to all three major credit reporting agencies like Equifax, Experian, and TransUnion. No bank is required to report your payment history, and some secured credit cards don’t which makes them useless in rebuilding credit. So be certain you get the right one. The secured credit card we highly recommend is one to consider, it only cost about $35.00 a year. Pretty good deal to start re-building your credit and it doesn’t report “as a secured credit card” on your credit profiles. Your credit score will improve as on-time payments are recorded in your credit history. Any credit accounts reflecting on-time payments will improve your credit score, just as any accounts reflecting late payments will lower it. So if you use this account and make on-time payments, a secured card will help your score. Quick tip: use once a month and only 7%-30% of your available credit limit, preferably 7% of your credit limit for better results. Also consider opening an account with a credit union. In addition to offering lower rates on loans and higher rates on savings credit unions sometimes (but not always) are more flexible with lending standards. So it might be easier to get a credit card, car loan, or signature loan there than at a big national bank. Another great tool and power move toward building a better credit profile: some banks offer credit builder loans, ask your bank if they offer this product as they also report your on-time behavior. If not then use the bank we recommend a CD Credit Builder Loan – 2 Click Here to Get Now, that reports to all three major credit bureaus, no credit check, FDIC insured, No credit score required and most importantly you get to Build credit while you help yourself save $550 over 12 months. A win, win. This is by far the single most cost effective and powerful tool for consumers to increase their high credit limit and decrease their debt to income ratio and to add a primary account to their credit profiles. Unfortunately, despite their immense benefits, Merchandise accounts are highly misunderstood and misjudged by most of the credit community. Basically, you pay a small membership fee, in this case ($99 annually) small price to pay to get instant access to a $5,000 credit limit (in most cases will take you several years of good credit history to accomplish) and also reports to all three major credit bureaus ( a huge plus for credit building). As a member, you’re able to buy merchandise only from the card issuer on credit, in this case (online only). The card issuer reports the account to the three credit bureaus, and it looks just like a credit card. It’s not a Visa or Mastercard, but who cares! It helps your score, which in turn helps to attract additional lenders for more credit. That’s the beauty! We have thousands of clients who have used merchandise accounts and increased their credit scores. Remember, the card will do three extremely important things for you. It will increase your current “High Credit Limit” by $5,000 almost overnight as the account “looks” like any other unsecured revolving account. By carrying a small outstanding balance it will positively impact your credit reports by building and showing potential lenders your credit worthiness. With a good payment history you are virtually guaranteed to receive “legitimate” pre-approved credit offers in the future due to other lenders renting your name from the credit bureaus. Visa/Mastercard/Amex/Discover in your own name. That’s the end game and that’s why you’ll want to work with InCreditable Advisors, to help develop an “Advanced Credit Profile”. This is a strategy while not complex, can be taken to very complex levels. Even in it’s’ most basic form, its taken advantage of by very, very few. It involves intentionally building your credit report in a way which creates a “profile” that closely fits the criteria of most lenders (as well as the overall credit scoring system). Again, this is a technique which can be used in a myriad of complex ways, but for simplicity “Schedule a free, 20 minutes Credit Strategy Session”, so you know EXACTLY the steps you need to take to make the changes that lead to a “Advanced Credit Profile”. Step 4: Main component, pay your bills on time. Obviously, we know what you’re thinking. But we mention this because it’s the single most important thing you’ll do to rebuild your credit. It takes time to build a bad credit history, and even longer to rebuild your credit. So be patient, get what credit you can, then pay on time. As your bankruptcy fades into the past, your credit score will rise. For more information about fixing your credit or re-establishing your credit profile call InCreditable Advisors today at 317.202.1297 for a free credit report review analysis. InCreditable Advisors is a professional credit consulting company that specializes in credit repair, debt settlement and credit education.